Cotopaxi’s remarkable height means that is topped by glaciers, even though it is located close to the Equator. The volcano owes its stature partly to its location on the thickened crust of the Andean Cordillera a 7,500 km mountain chain along the western margin of South America. Cotopaxi is part of the Cordillera’s Northern Volcanic Zone, the volcanism a product of the subduction of the Nazca Plate underneath the South American Plate. How does Cotopaxi stack up as a Top Trumps Volcano? The scores on the cards reflect Cotopaxi’s incredible range and frequency of activity. While size isn’t everything this is our tallest volcano, and it can send its lahars 100 km down valleys into the Pacific Ocean. Last known eruption: Increasing seismic activity since mid-April 2015, culminated in a series of ash and steam-rich explosions in August now continuing into September 2015. 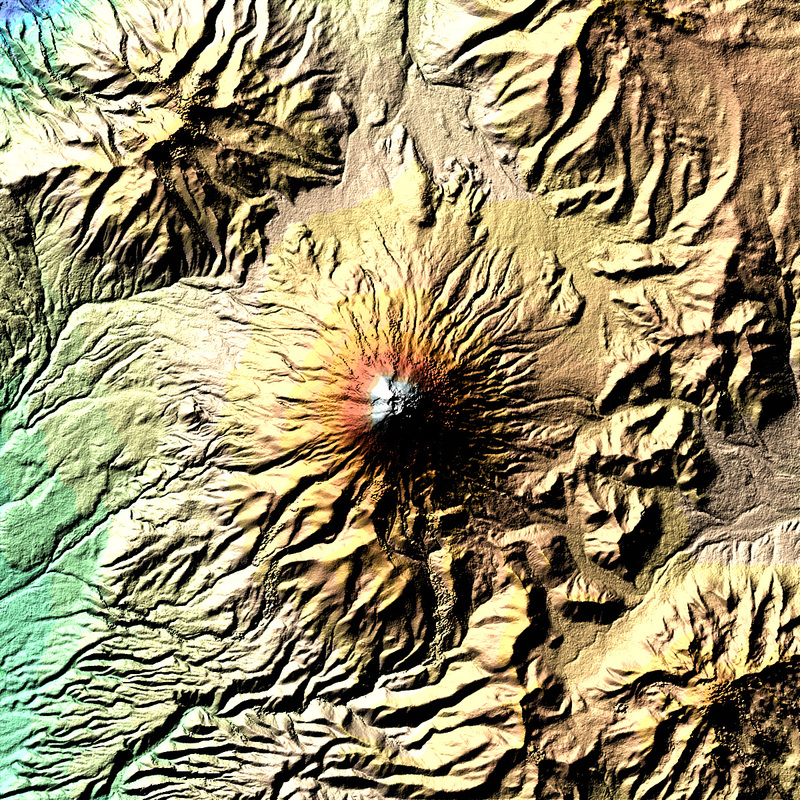 Cotopaxi is frequently active but the last eruption before the current episode was in the 1940s. It has the distinction of having one of the longest historical records of activity in the Americas too, the first recorded eruption was in 1532! Explosivity (Volcanic Explosivity Index) – 6. Cotopaxi is capable of generating relatively large explosive eruptions, compounded by the fact that this activity will melt or even destroy its ice cap, generating rapid flows of water and volcanic debris downs its valleys, called lahars. Height – 5,897m. Not much more needs to be said about that. The Top Trump for height in our collection. Deadliness – 100. Cotopaxi’s frequent eruptions combined with its capacity to bury anything in the path of its lahars do mean tht it has claimed lives during past actvity. This also makes it one of the best monitored volcanoes in South America, the first permanent seismic station dedicated to monitoring a volcano was installed near Cotopaxi in 1976. Wow! Factor – 84 The combination of its imposing height, snowcap and its symmetrical cone, ensure that Cotopaxi is a relatively high scorer for Wow! Factor. Unpredictability – 56 Cotopaxi has had violent bursts of eruptive activity in 1744, 1768, and 1877, but it has also had periods of activity with smaller explosions and less destructive activity. This variance gives it a reasonably high score for unpredictability. Devastation potential – 270. Cotopaxi’s larger eruptions pose some threat to the villages, towns and cities that lie in the pathway of its lahars. Further Information: Cotopaxi is monitored by the Instituto Geofisico, they post regular and detailed updates on the current activity. You can also follow them on Twitter @IGEcuador and for posts that relate to the alert status of the volcano you can follow @Seguridad_Ec . They have set up a new webpage with information about the current activity there too.